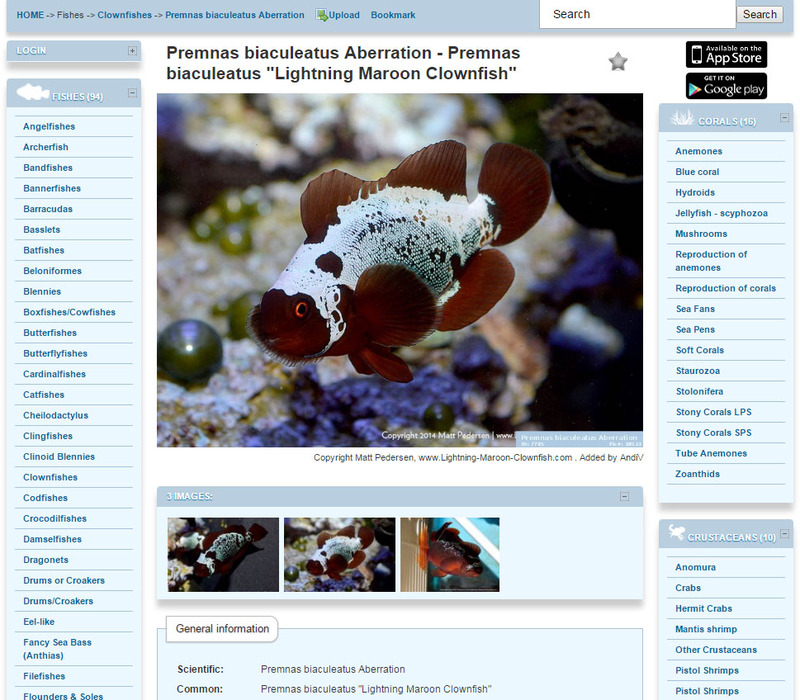 Once in a while you might come across the ReefLex website; an “online encyclopedia for marine life”, better known by its original German name, Meerwasser-Lexikon. This past week, site organizers reached out to add the Lightning Maroon Clownfish to their archives, and in the process, have likely introduced the Lightning Maroon Clownfish to many aquarists who were not even aware of its existence before now. You can view the Lightning Maroon Clownfish entry in its original German, an English translation, and several other languages.